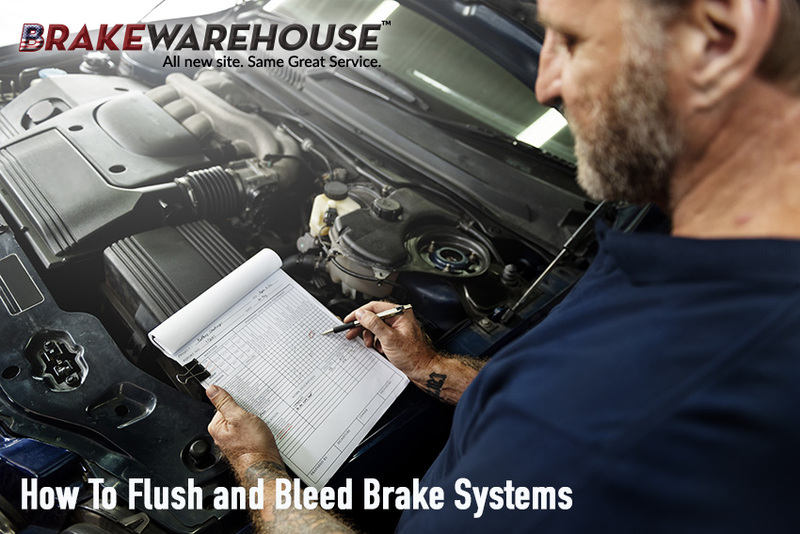 Part of your vehicle's brake maintenance is bleeding and flushing the brake fluid. Brake fluid likes to absorb water potentially allowing the fluid to evaporate causing brakes not to function. You should flush and bleed your fluid every 2-3 years to keep it from evaporating. One liter of brake fluid. Check owner's manual for type of fluid your vehicle needs. Empty plastic bottle with cap. Hose with a diameter that fits over the brake bleeder valve. 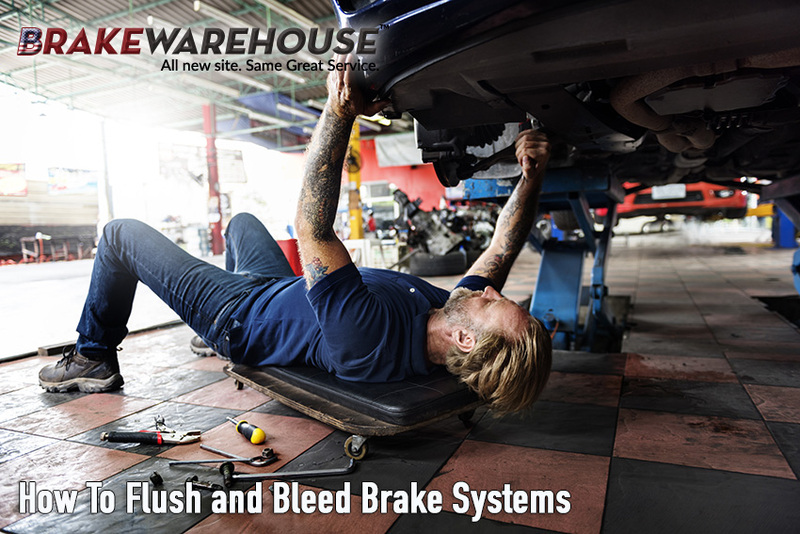 Flushing and bleeding the brake system can be done as a 1-person or 2-person job. Below are the instructions to follow depending on how many people are performing the flush and bleed. Make a hole in the cap of the bottle that is large enough for the tubing to fit into. Put aside. Open the reservoir to the master cylinder. Use the turkey baster to remove brake fluid from the reservoir, leaving enough old fluid so that no air can get in. Put the old fluid in the bottle. Put the cap on the bottle and insert the hose through the hole in the cap, making sure the hose goes all the way to the bottom of the bottle below the level of the brake fluid. Put aside. Fill the reservoir with new brake fluid, filling past the MAX line but not overfilling. Use the rags to clean up any fluid that leaks or spills. Put the cap back onto the reservoir. Put the cap onto the brake fluid bottle. Go to the wheel that is furthest from the master cylinder and start there. Turn the bucket upside down and place the plastic bottle on top of it making sure that the hosing is higher than the bleeder valve when connected. Remove the cap from the bleeder valve. Put the hose over the valve, with the zip tie over the hose, securing it tight enough to keep the hose from slipping off, but not too tight that you cannot remove the hose. Use the wrench to loosen the valve. Get in the vehicle and with a smooth motion, depress the brake pedal all the way to the floor. Repeat this several times. Check the hose periodically for clear brake fluid. Once brake fluid is clear, go back to the master cylinder reservoir, and add more brake fluid, again filling past the MAX line but not overflowing. This has to be performed approximately every 10 pedal depressions. After the first wheel is flushed and bled, close the bleeder valve securely, remove the tubing and follow the same process at each wheel, moving to the wheel that is the second furthest away from the master cylinder. The last wheel will be the one that is closest to the master cylinder. Once the brake system is fully flushed and bled, fill the master cylinder reservoir to the MAX line and replace the cap securely. One person should be inside the vehicle. Use the turkey baster to remove brake fluid from the reservoir, leaving enough old fluid so that no air can get in. Put the old fluid in the pan. Put the pan on the ground under the bleeder valve to catch any spillage. Use the wrench to open the valve. Have person inside vehicle depress the brake pedal with a smooth motion all the way to the floor and hold it there. Close the valve. Once closed, tell person inside vehicle to let go of pedal. Repeat this process until the brake fluid coming from the valve is clear. Go back to the master cylinder reservoir, and add more brake fluid, again filling past the MAX line but not overflowing. This has to be performed approximately every 10 pedal depressions. After the first wheel is flushed and bled, close the bleeder valve securely and move to the wheel that is the second furthest away from the master cylinder. The last wheel will be the one that is closest to the master cylinder. Brake fluid is corrosive so remember to clean up any spillage immediately. If no fluid comes out of the valve when pumping the brakes, the valve is blocked and must be removed and replaced or the blockage must be cleared. It is recommended to replace a bleeder valve if it is blocked. Once the system is fully flushed and bled, depress the brake pedal. It should have a firm feel when depressing. If it does not, then there is air in the lines and you need to bleed the lines again. Brake fluid does not have a shelf life and does not last long so make sure you do not use old brake fluid that you have had sitting around.